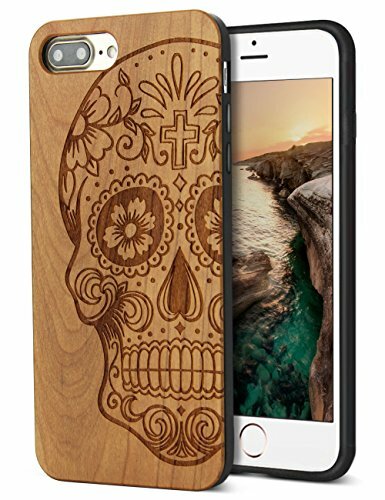 Wooden iPhone 7/8 Plus phone case does not significantly affected by the coldness or hotness.You will feel very comfortable and it won't be cold when you take the wood phone case in hand, very stain-resistant and will not change color . The wood strain on each phone case is unique, very special phone case. Practical Protector, snugly and Durable, Easy to get on and easy to get off.fit perfectly,Perfect cutouts for speakers, camera and other ports,Bottom ports are accurately compatible with case on. Healthy---No Weird Chemical Smells. 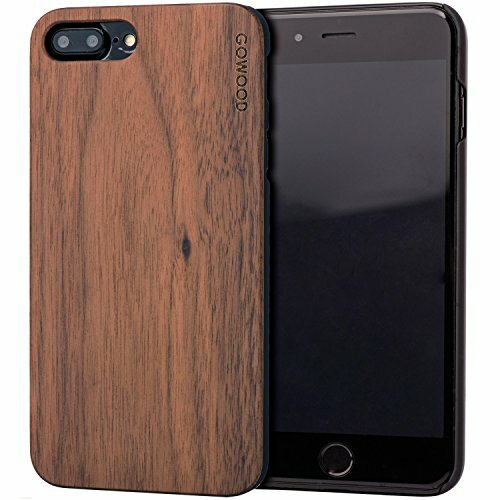 The iPhone 7/8 Plus cover is combined with Natural Wood Layer and High-end TPU Rubber.Heavy duty rubber material protective your iPhone against drop damage, providing more impact absorption. Hand-made wood case Natural Wood Feel Please Enjoy the unique, natural beauty of real wood! The wood case also is artwork symbolizes good fortune,and also long-term use is good for your Beneficial to the health, not only because of the the environmentally friendly materials,but also the advice of the traditional Chinese medicine, Strongly recommended you can have a try! Durable & Comfortable ---A Soft non-slip and great feeling touching natural wooden case. Fingerprints and smudges free, non slip, not bulky, Slim, great tactile feel, flexible cover. Novelty design without sacrificing protection,Protect against minor mishaps. Every case has its own unique natural wood grain and finish and it will likely differ in appearance than the one pictured. Unique, Handmade, Artisan, Authentic natural wood grain and finish, Wood Perfect Combination Make the phone only belongs to you. Healthy---No Weird Chemical Smells. The cover is combined with Natural Wood Layer and High-end TPU Rubber.Heavy duty rubber material protective your iPhone against drop damage, providing more impact absorption. YFWOOD is famous for its unique and beautiful engraved mobile phone case, and the Wood Series is quite popular. We are factory design,manufacture with highest quality and favorable price.When talking about natural wood cases, the thick cover impression would pop into your mind, but YFWOOD Wood Series manages to make the case use wood + rubber material perfect slove this problem .Our Wood phone cases are environment-friendly and designed with the concept of optimal comfort and simplicity. Descriptions:Protect and decorate your iPhone 7 plus with this case. - Close-fitting design for easy button operation- Protects your device from dirt, scratches and bumps- Convenient to install and remove- Direct external access to all buttons, ports and controls- Unique design, simple yet stylish,Raw materials are natural rosewood , each of the texture and color are different, as every tree every place is not the same!so it will make your phone unique, only belongs to you.In fact it is also a perfect handicraft and a unique gift to family or friends. Package included: 1 * iPhone 7 plus Case NOTE: 1.The wood grain on the case you get will be a bit different since there are not exactly 2 same leaves in the world. 2. A tempered glass screen protector is necessary to avoid screen shattered once dropped on uneven floors. 3. Do not bend it too hard to avoid breaking natural wood layer. 4.If you have any problem with our product,please free feel to contact me at the first time.i will help you on this ASAP. Wooden iPhone 7/ 8 Plus phone case does not significantly affected by the coldness or hotness.You will feel very comfortable and it won't be cold when you take the wood phone case in hand, very stain-resistant and will not change color . The wood strain on each phone case is unique, very special phone case. Hand-made wood case Hand-made real wood cover, combined with a polycarbonate case. Flexible rubber sides easily wrap around all four sides of your phone to better protect against minor mishaps. Not too bulky, just a simple case designed to help protect and show off both your phone and the beautifully finished wood. Natural Wood Feel We believe that our wood finishing is what really sets us apart. We use the same process that is used to finish the highest quality wood furniture. This process maintains a natural look and feel while it brings out the beautiful colors and grain patterns in the wood. Our process ensures that your wood case will look more and more nice for years to come. Enjoy the unique, natural beauty of real wood! Our products are made from 100% real wood which reacts to lighting changes. Every skin or case will have a different and unique grain pattern. We do our best to photograph a variety of grain patterns and lighting conditions to give you the best idea what our product will look like. We love the changing nature of wood! Your skin or case will look different in the sun than it will inside your house or car. That is what makes our products so beautiful and unique! special feature The wood case also is artwork symbolizes good fortune,and also long-term use is good for your Beneficial to the health, not only because of the the environmentally friendly materials,but also the advice of the traditional Chinese medicine, Strongly recommended you can have a try! Cool iPhone 8 Plus Case design without sacrificing protection,Protect against minor mishaps. Every case has its own unique natural wood grain and finish and it will likely differ in appearance than the one pictured. 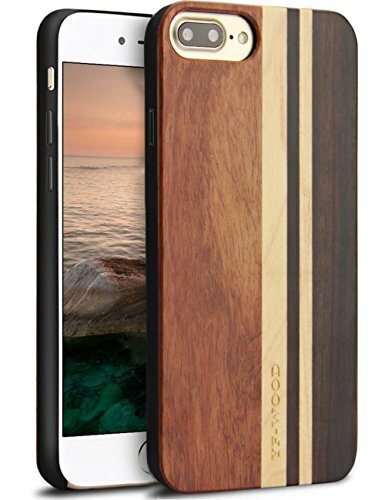 Unique, Handmade, Artisan, Authentic natural wood grain and finish, Wood Perfect Combination Make the Wood iPhone 7 Plus and iPhone 8 Plus only belongs to you. YFWOOD is famous for its unique and beautiful engraved mobile phone case, and the Wood Series is quite popular. We are factory design,manufacture with highest quality and favorable price.When talking about natural wood cases, the thick cover impression would pop into your mind, but YFWOOD Wood Series manages to make the case use wood + rubber material perfect solve this problem .Our Wood phone cases are environment-friendly and designed with the concept of optimal comfort and simplicity. All materials we choose are 100% certified wood, no fake printed wood grain. Descriptions:Protect and decorate your iPhone 7 plus with this case。 - Close-fitting design for easy button operation- Protects your device from dirt, scratches and bumps- Convenient to install and remove- Direct external access to all buttons, ports and controls- Unique design, simple yet stylish,Raw materials are natural rosewood , each of the texture and color are different, as every tree every place is not the same!so it will make your phone unique, only belongs to you.In fact it is also a perfect handicraft and a unique gift to family or friends. Package included: 1 * iPhone 7 plus Case NOTE: 1.The wood grain on the case you get will be a bit different since there are not exactly 2 same leaves in the world. 2. A tempered glass screen protector is necessary to avoid screen shattered once dropped on uneven floors. 3. Do not bend it too hard to avoid breaking natural wood layer. 4.If you have any problem with our product,please free feel to contact me at the first time.i will help you on this ASAP. YFWOOD is famous for its unique and beautiful engraved mobile phone case, and the Wood Series is quite popular. We are factory design,manufacture with highest quality and favorable price.When talking about natural wood cases, the thick cover impression would pop into your mind, but YFWOOD Wood Series manages to make the case use wood + rubber material perfect slove this problem .Our Wood phone cases are environment-friendly and designed with the concept of optimal comfort and simplicity. All materials we choose are 100% certified wood, no fake printed wood grain. Descriptions:Protect and decorate your iPhone 7 plus with this case。 - Close-fitting design for easy button operation- Protects your device from dirt, scratches and bumps- Convenient to install and remove- Direct external access to all buttons, ports and controls- Unique design, simple yet stylish,Raw materials are natural rosewood , each of the texture and color are different, as every tree every place is not the same!so it will make your phone unique, only belongs to you.In fact it is also a perfect handicraft and a unique gift to family or friends. Package included: 1 * iPhone 7 plus Case NOTE: 1.The wood grain on the case you get will be a bit different since there are not exactly 2 same leaves in the world. 2. A tempered glass screen protector is necessary to avoid screen shattered once dropped on uneven floors. 3. Do not bend it too hard to avoid breaking natural wood layer. 4.If you have any problem with our product,please free feel to contact me at the first time.i will help you on this ASAP. Slim design without sacrificing protection, minimum bulk. Protect against minor mishaps. This case is perfect for the person who wants some extra protection for their phone without having a super bulky case. YFWOOD is famous for its unique and beautiful engraved mobile phone case, and the Wood Series is quite popular. We are factory design,manufacture with highest quality and favorable price.When talking about natural wood cases, the thick cover impression would pop into your mind, but YFWOOD Wood Series manages to make the case use wood + rubber material perfect slove this problem .Our Wood phone cases are environment-friendly and designed with the concept of optimal comfort and simplicity. The wood part we choose is really wood, no fake printed wood grain. Descriptions:Protect and decorate your iPhone 7 plus with this case. - Close-fitting design for easy button operation- Protects your device from dirt, scratches and bumps- Convenient to install and remove- Direct external access to all buttons, ports and controls- Unique design, simple yet stylish,Raw materials are natural rosewood , each of the texture and color are different, as every tree every place is not the same!so it will make your phone unique, only belongs to you.In fact it is also a perfect handicraft and a unique gift to family or friends. Package included: 1 * iPhone 7 plus Case NOTE: 1.The wood grain on the case you get will be a bit different since there are not exactly 2 same leaves in the world. 2. A tempered glass screen protector is necessary to avoid screen shattered once dropped on uneven floors. 3. Do not bend it too hard to avoid breaking natural wood layer. 4.If you have any problem with our product,please free feel to contact me at the first time.i will help you on this ASAP. JOYLINK wooden case --- Slim fit and high quality case for your devices Compatibility: Compatible with Apple iPhone 7 Plus Materials Exterior: 100% genuine Pure Handcrafted Cherrywood Interior: Extra durable hard plastic Bumper: Matte black surface for a nice tactile feel and secure grip Features: - Thin, lightweight no added any bulk to your devices. - Simple, natural and elegant style, make your phone upscale and best feel. - Good grip and comfortable touch; slides easily in and out of pockets. - Easily to install and remove, without damaging or scratching the phone body. - Precise cutting for all ports, camera and speaker, side button with full cover protection. - Easy to access to all buttons with responsive button cover. - Enlarged ports with raised edges fit most cables. - Raised edges around camera, ports, and front display screen. Note: Do not bend it too hard to avoid breaking natural wood layer. We suggest you use it together with screen protector to get best drop protection. What's in the package? 1PC Joylink case. If you want to know more about our products, please search ""Joylink"" on Amazon, hope your have a good buying experience from Joylink, thank you! Cool iPhone 7 Plus Case Design. Shock Absorbing, non slip, not bulky. Good grip. Fits well, buttons responsive, easy to put on and off as well. QUALITY WARRANT : We believe that our products are so superior, If you get quality problems with this case, please contact us in the first time. 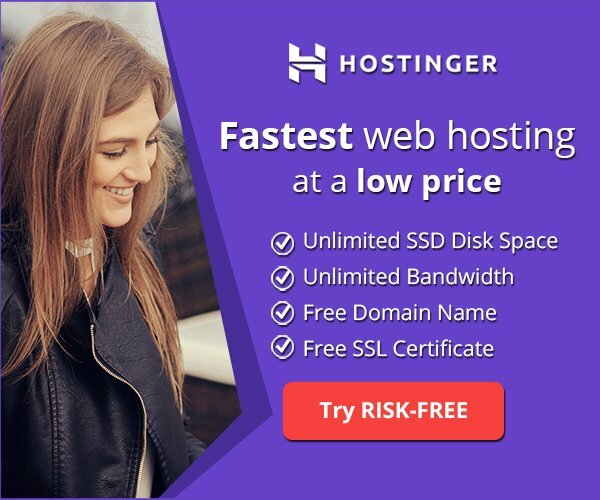 We will help you ASAP. Unique designed. Shock Absorbing, non slip, not bulky. Good grip. Fits well, buttons responsive, easy to put on and off as well. YFWOOD is famous for its unique and beautiful engraved mobile phone case, and the Wood Series is quite popular. We are factory design,manufacture with highest quality and favorable price.When talking about natural wood cases, the thick cover impression would pop into your mind, but YFWOOD Wood Series manages to make the case use wood +rubber material perfect slove this problem .Our Wood phone cases are environment-friendly and designed with the concept of optimal comfort and simplicity. All materials we choose are 100% certified wood, no fake printed wood grain. Descriptions:Protect and decorate your iPhone 7 plus with this case。 - Close-fitting design for easy button operation- Protects your device from dirt, scratches and bumps- Convenient to install and remove- Direct external access to all buttons, ports and controls- Unique design, simple yet stylish,Raw materials are natural rosewood , each of the texture and color are different, as every tree every place is not the same!so it will make your phone unique, only belongs to you.In fact it is also a perfect handicraft and a unique gift to family or friends. Package included: 1 * iPhone 7 plus Case NOTE: 1.The wood grain on the case you get will be a bit different since there are not exactly 2 same leaves in the world. 2. A tempered glass screen protector is necessary to avoid screen shattered once dropped on uneven floors. 3. Do not bend it too hard to avoid breaking natural wood layer. 4.If you have any problem with our product,please free feel to contact me at the first time.i will help you on this ASAP. 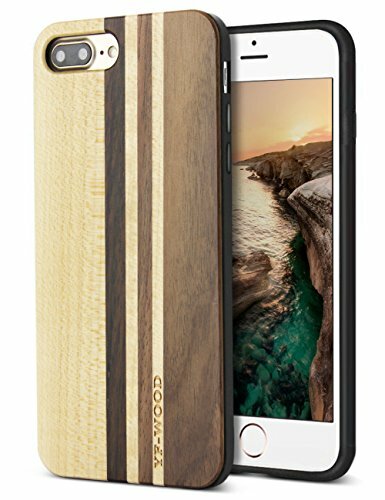 WHILE SOME IPHONE 7 PLUS & IPHONE 8 PLUS WOOD CASES break after only a few uses, are not made with real wood or don't fit correctly, the iPhone 7/8 Plus wood case from GoWood is designed to eliminate these problems. The protective polycarbonate used for the slim iPhone 7 Plus / 8 Plus cover is of higher quality and is finished with a rubber coating. This results in the case lasting longer and protecting your phone better. This case fits both the iPhone 7 Plus and the 8 Plus (not the regular). 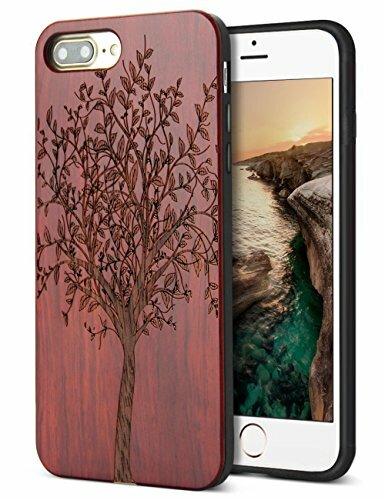 REAL WOOD LIGHTWEIGHT SLIM FIT CASE - Many believe wood make cell phone cases heavier, but the contrary is true. 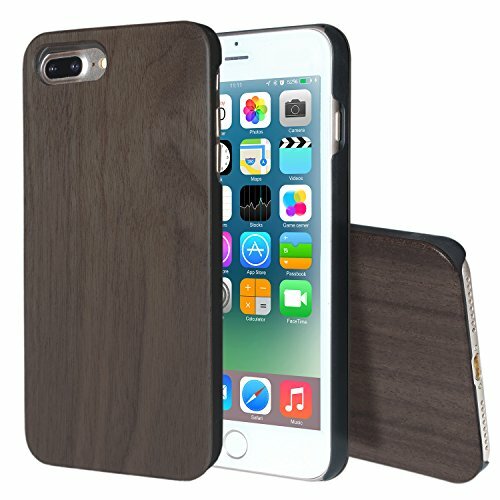 Wood is very light, making the iPhone 7 Plus / iPhone 8 Plus case weigh only 1.2 ounce. The case has a slim fit design, meaning your phone will remain as ultra thin as possible. The one-piece case fits tight around your phone, so you will not have to deal with latches or potential two-piece case (breakage) issues. WOOD ACCESSORIES ARE HOT RIGHT NOW - Everybody loves the natural look and feel of wood phone cases. Each case is different, because the grains of wood are never the same. We believe you will love it. In fact, we believe many will ask you where you got it! YOU CARRY YOUR PHONE EVERYWHERE YOU GO - Whether you are an outdoor's person or have a busy job, or maybe both; we feel that your iPhone 7 Plus / iPhone 8 Plus wooden phone case should not only protect your phone, but compliment your personal style at the same time. We believe the GoWood iPhone 7+ / 8+ cases do exactly that. You are currently looking at the beautiful natural walnut case, which is the most popular style. WE ARE AVAILABLE TO OUR CUSTOMERS - We are real people behind the GoWood brand, serving real people. With us, you are not a number. We stand by our products and you can rely on an exceptional customer service experience. Forget about horrible customer service, buy from GoWood.